I just started writing a series of posts yesterday to introduce to the world the fascinating,beautiful and awe inspiring beauty and landscape of Pakistan. This post today is the second in the series of many more yet to come. The photo above was the main motivating factor as the composition is so captivating that I was awe stricken for a while. It looked as if I saw something from another world. Just look above again - doesn't it instantly attracts you - specially the bunch of yaks running at the foothills of mighty mountain? Well it did for me and I instantly thought of writing about Shimshal Pass and the Shimshal Valley. Secondly the motivation of the people of Shimshal village to come out of the obscurity from an otherwise obscured small village surrounded by rugged stony mountains, cutting them completely from the Hunza Valley just next to the Shimshal Valley, but inaccessible except for foot or mule mode of transportation. They thus started cutting the mountains and made a jeep able track to reach the Karakoram Highway (KKH) near the Passu - it took them Eighteen years (1985-2003) to build this track completely relying on their muscle power without any outside help. And lastly the trekking on the Shimshal Pass - from the Shimshal village located at 3,100 metres above sea level to Shimshal Pass at 4,735 metres. The invincibility of the trek at places almost vertical climbs, wading through gushing mountain gorges and fast flowing streams. And lastly, the entire Shimshal village has electricity - yes don't be surprised and thanks to the solar technology. All houses have solar panels to provide them uninterrupted power supply and watch TV through satellite receivers/dish antennas. This initiative on the part of locals should serve as any eye opener for many villages of northern areas to follow suit. Now back to the Shimshal village, which is the jump off point for the Shimshal Pass. The village is part of the Gojal Tehsil of Hunza District, in the Gilgit–Baltistan province of Pakistan. 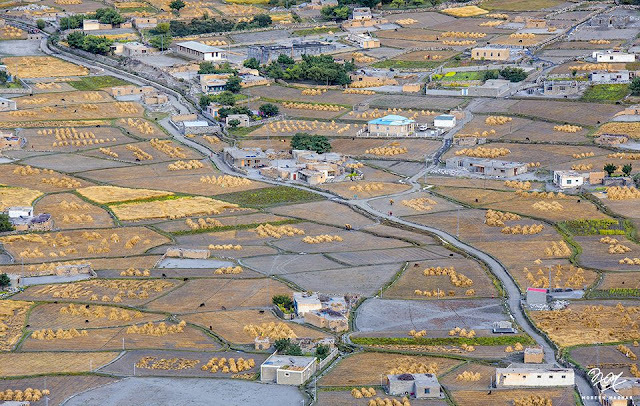 At 3,100 m above sea level, it is the highest settlement in Hunza Valley. The village is closest to China. As are typical helmets of high altitude, it has just over 200 houses with a population of approximately two thousand. The Shimshal Valley Road is a spectacular and terrific curvy mountainous road which rarely permit speeds over 10km/h. 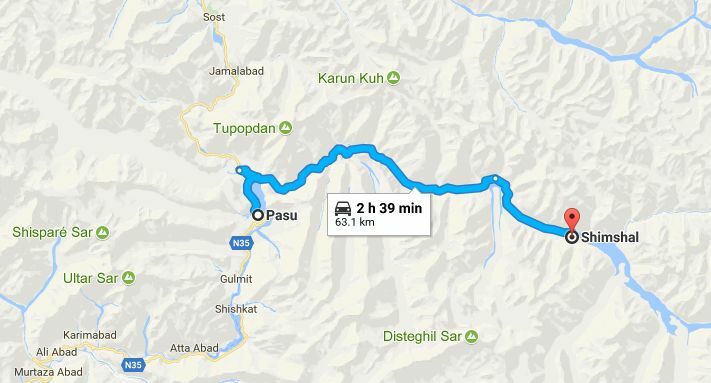 Located in Gojal, Hunza–Nagar District in the Pakistan-administered Gilgit-Baltistan formerly known as Northern Areas of Pakistan, the journey is extremely dangerous. 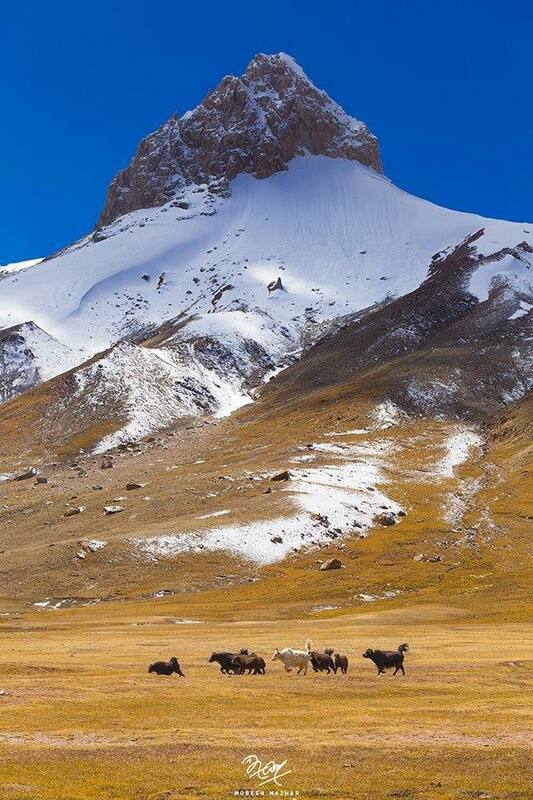 Beside very healthy goats and sheep, the main attraction of Shimshal is the Yak, a fierce looking shaggy creature, also found in other higher planes of northern areas of Pakistan. These typically local animals are used as a source of milk, beef, wools and carrying the loads to the mountains in the high pastures and also for crossing through fast current streams and rivers. 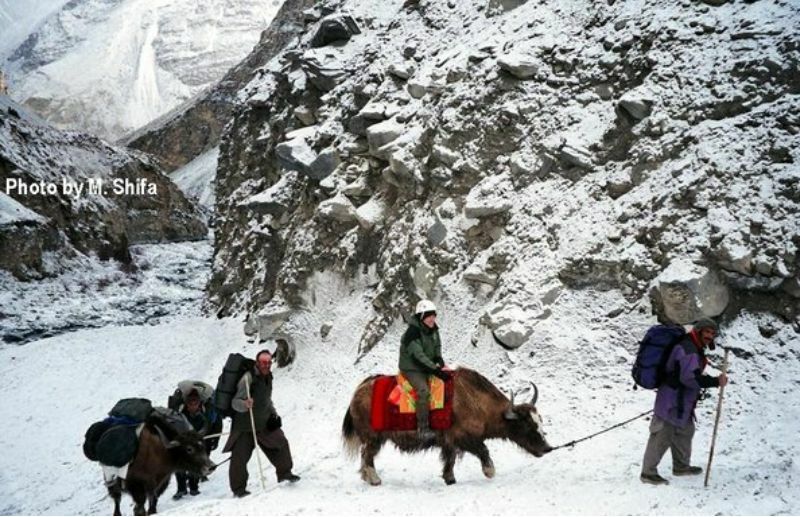 Those who are not avid trekkers, yaks provide them a fantastic opportunity for yak safari to close by areas on the Shimshal Pass. The best time for yak safari is from June to October but the best is in September to October. The yak safari commences from Shimshal village to Zardgarben, 3,810 m taking 5-6 hours. You may continue to resume the safari next day to Purien-e-ben, 3,322 m taking hours. Still going higher, one may resume the safari next day to Shuijerab, 4,080 m for 6-7 hours and camping and returning to Shimshal the next day. The yak race is another attraction of the area, which is an annual feature when one can see the locals mounted on yaks wading through river streams and lush green fields. This annual feature is held in the last week of July or the first week of August.